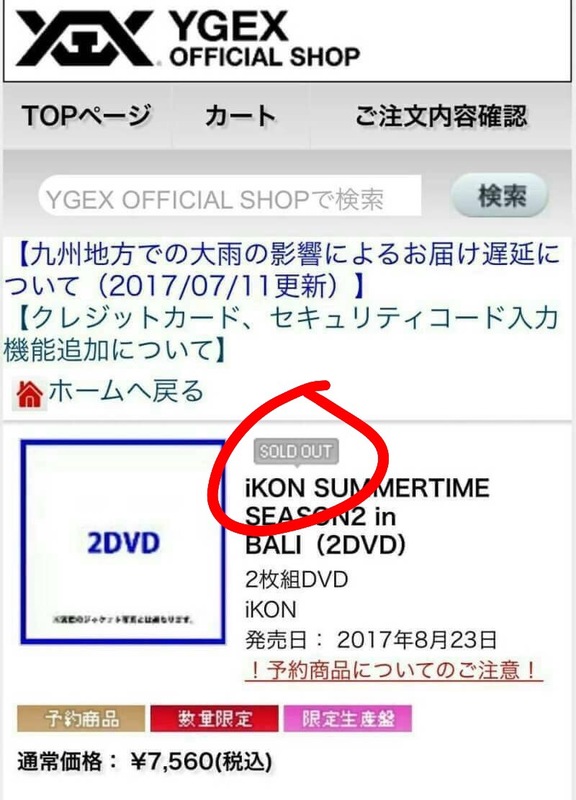 iKONICs in Japan or J -KONICs as they are known have continued their tradition of showing their love for iKON with market demand. 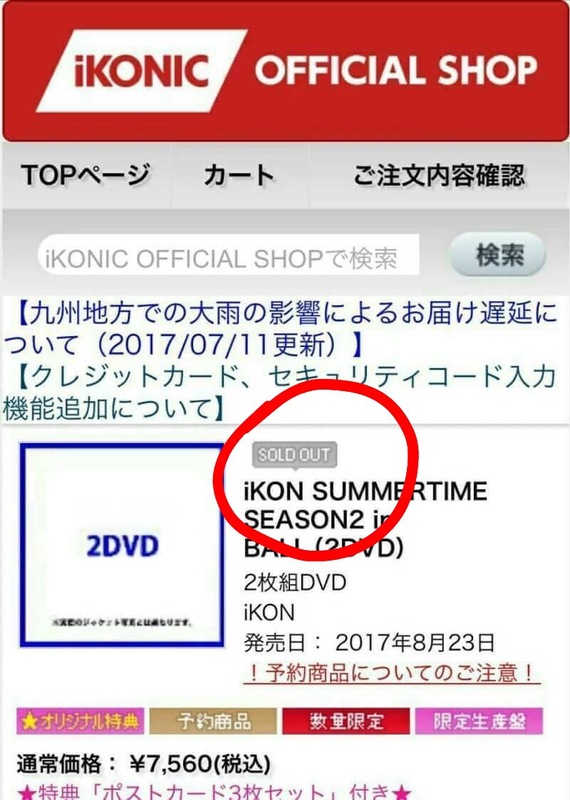 If you had plans to buy the Japanese versions of the Summertime in Bali DVDs you’ll have to pray for quick restocks as they continue to sell out fast! 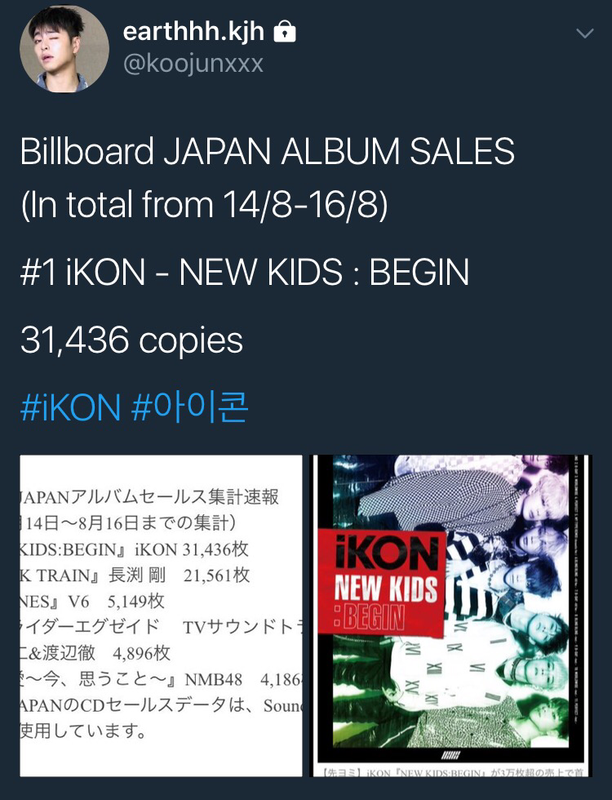 This is more good news from Japan following iKONS New Kids: Begin come back on the 16th of this month which topped several Japanese charts including the Oricon Daily and sold more than 30,000 albums on the first day! It is the third time in a row for iKON to top charts in Japan having done so with their Japan Wecome Back Album and their Dumb and Dumber Single album which sold so well it scored them a Gold certification with the Recording Industry Association of Japan (RIAJ) – not bad for Korean rookies! iKONICs are currently looking forward with great anticipation to upcoming New Kids activities in Japan! We are continuing our iKON fan artist series and with absolute pleasure I get to present to you a fellow DoubleB trash and probably a closeted fujoshi, Yoye of @Yo_BiBob. I have been following Yoye for quite some time and her art always brings smile to my face and often makes me giggle. The crucial question first. How did you become an iKONIC ? I asked a friend to give me something to watch. Among other things she recommended WIN and Mix n Match. At that time I was not into kpop, but my friends kept talking about it and I thought survivals were interesting, so I gave it a try. 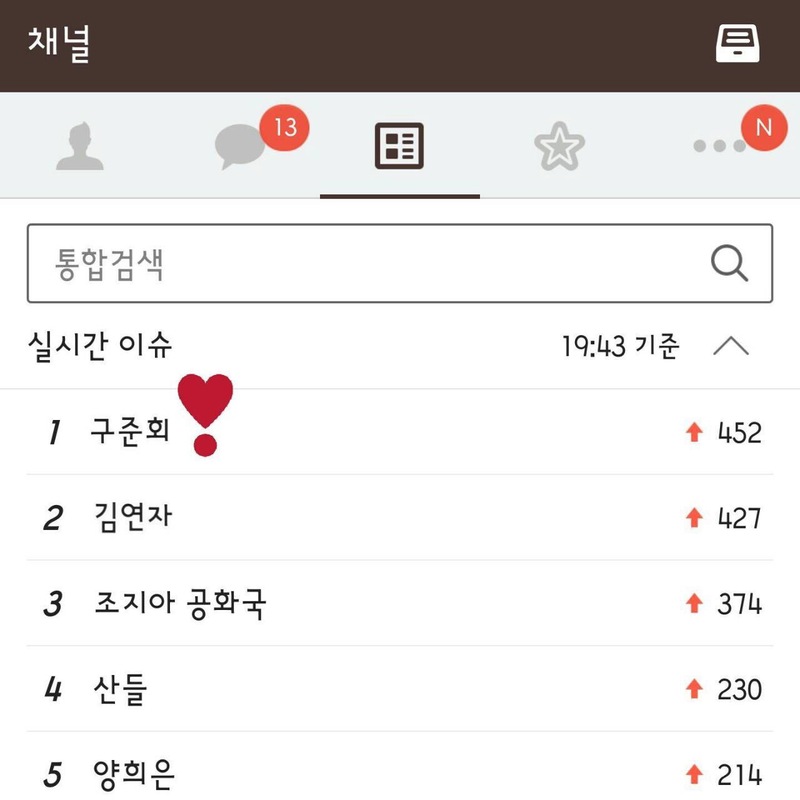 After watching it, I found myself liking iKON and I searched about them. I was upset that hadn’t yet debuted at that time. I searched for updates and found it on twitter. I waited for their debut but didn’t plan to join the fandom, Ii was just lurking around. But idk how, I ended up an iKONIC and join the fandom. It’s the first fandom that I joined. hhhhh. What is your favorite iKON song or a moment? My first fav iKON song is SINOSIJAK SHOWTIME!! But now i have too many fav songs hhhh. It’s hard to choose a moment. My fav moment is every time iKON performs on stage all sweaty and singing with passion, all crazy smiles, and hyped up doing adlibs to enliven the stage. iKON on stage is wild! How did you become an iKON fanartist ? I have this drawing account where I post random drawings. After watching WIN i started drawing Bobby then B.I then DoubleB then i keep drawing only DoubleB to the point i change my username into @yo_BiBob which means Yoye draws B.I BOBBY. After drawing DoubleB for quite long, I gathered some confidence to draw the other members. Then I started to draw iKON. As a DoubleB trash myself I applaud your choice of subject. Is art something you do as a hobby or are you a professional artist? I am a hobbyist artist. Not a professional at all. XD. I love to draw since I was a kid. I used to draw girls, clothes, animals and food when I was a kid, but now i only draw men. LOL. Good choice! But, tell me what inspires your fan art? Love. I rarely draw something that I hate, but i drew a chibi YG on a swing once. I also draw human beings who are aesthetically pleasing to my eyes. Also warm or cute relationships (family, lovers, bros, or sis and bro), cute stuff, cool stuff, bunny smile, plump lips, or jawline XD. Also talking with my iKONIC friends gives me ideas or sometimes I just draw their creative ideas. Although I already know an answer to this question, I am going to ask anyway. Is there any particular member, ship or a theme you love to draw? I am a DoubleB trash. I always start everything in my art with DoubleB. I’m trying hard to draw them clean okay. it’s Really hard. XD. For short comic i love a cute but ridiculous theme. We call it receh. That was pretty hilarious! What is your fav technique/medium to work in? I love my traditional art more than my digital. Digital gives me hard times. For traditional art I’m using watercolor (Sakura Koi) and Color pencils (Polycromos). For digital I’m using Paint tool Sai and a wacom Pen tablet. As a fan artist you get a lot of reactions and feedback for your work from other iKONICS. Was there anything someone said that stayed with you as special? I really love and appreciate all the encouraging comments. Since I’m kind of depressed with my art style, I really need those encouraging comments ahahah I sound so desperate. I love iKON and I love to draw. I show them my love through my drawing since I’m no good with words also i typo a lot. XD So it really make me happy when people like my fan art and support it. A picture is worth a thousand words. And your art is very expressive so we can feel your love for them through it. Is there any particular illustration or comic you drew that is special to you? That one drawing of Hanbin smiling with eye patch.. I cried a little while drawing it. A lil bit dramatic :v it’s kinda embarrassing to admit. ahahahahahahahhahahahhahahashut. Awww! That is actually really sweet. Was your art ever used without your permission? It was once. Maybe it was partially my fault because I didn’t write anything on my bio about using them without permission. Your art has reached iKON members or people close to them, thus giving you the satisfaction of reaching your idol in a way most of fans can only dream off. How did that make you feel? Have you ever thought of selling your art? I’m starting to do it. I usually sell it on my IG account only, since I have problem managing things XD. For now I only sell stuff to local iKONICS. I’m still new at this thing and don’t know much about international shipping and payment. Where can we enjoy your art? My handle on twitter is @Yo_BiBob. This was the amazing @Yo_BiBob! Make sure to follow us because there is more to come! Now enjoy more of Yoye’s art and great sense of humor. 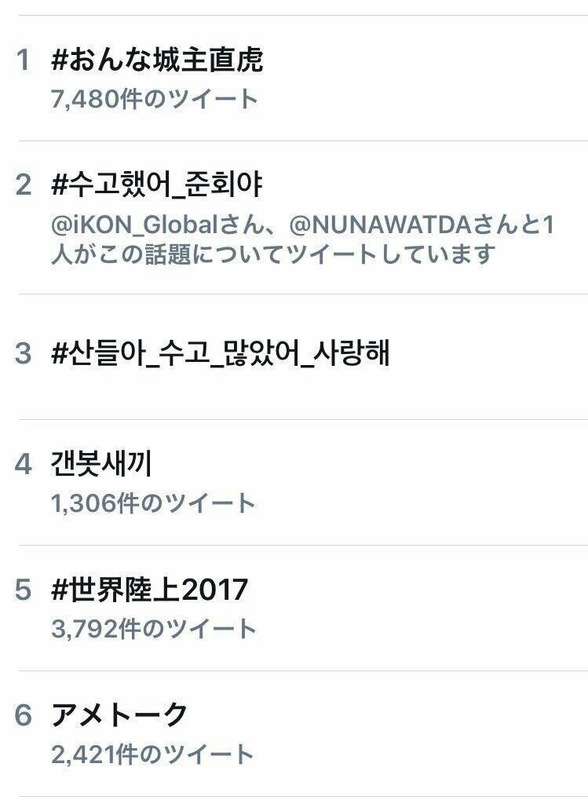 iKONICs the world over are trending #수고했어_준회야 (Well Done, Junehoe-ya) to congratulate him on his exciting appearance on Fantastic Duo 2 where he made it to top 3 after impressing featured vocalist legend Yang Hee Eun, panelist and fans with his breathtaking and unique vocal color. 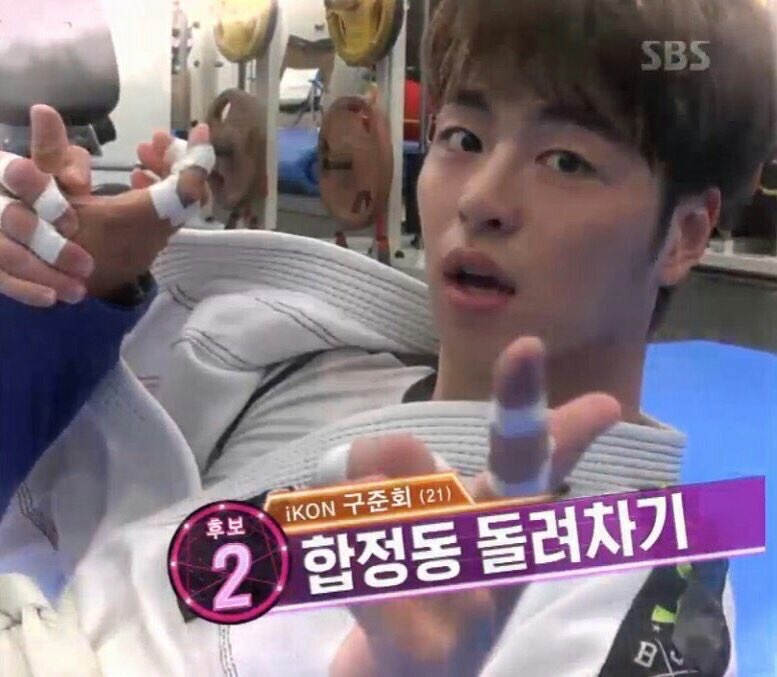 Today Koo Junhoe appeared on Fantastic Duo 2 and impressed right away with his Jiu Jitsu prowess. He followed that with a Micheal Jackson impression dance off with fellow contestant Hwang Chiyeol causing many hearts to flutter with kinetic hip thrusts!!! During the group songs Koo Junhoe did not disappoint showing a different side of his vocal range with a beautiful falsetto note and with soft tones and harmonies. It was a very proud moment when Junhoe was picked first for top 3. Former YG vocalist Gummy also had praise for him. At the end a worthy winner was picked in B1A4’s Sandeul but iKONICs felt no regret at all due to Junhoe’s excellent performance which his family showed up to see. 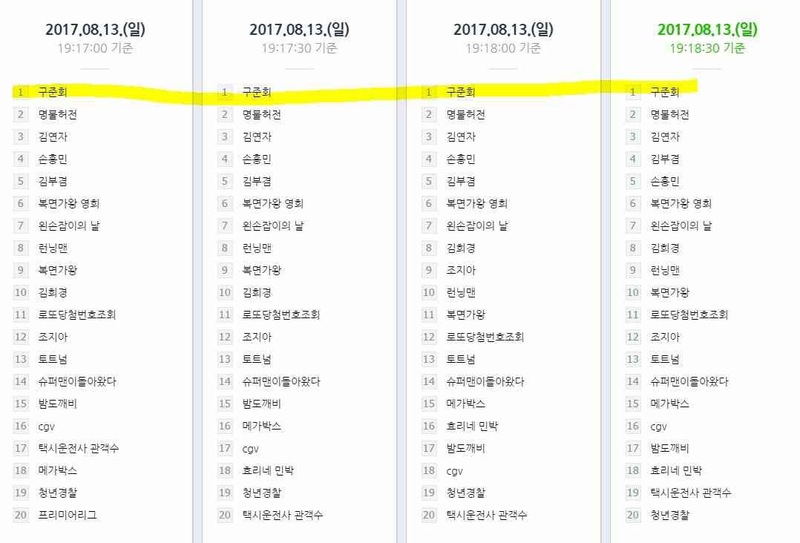 Even while the show was still on Junhoe’s name started to trend on multiple search engines in S.Korea including Naver, Instiz, and Daum. He also began to trend on Twitter and then even in Japan! 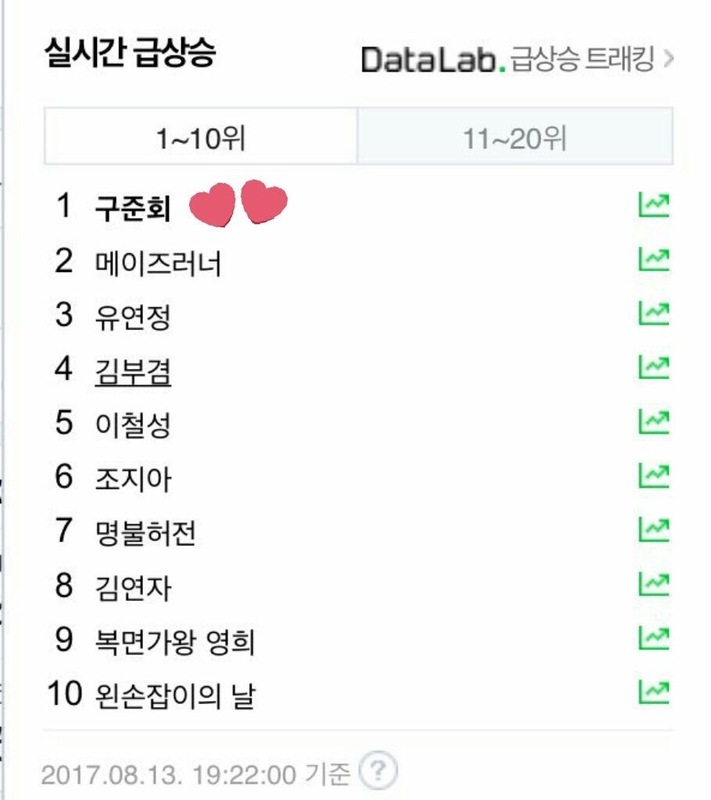 His name eventually made it to no 1 on Naver, Daum, and KakaoTalk and iKONICs swiftly responded by sending the twitter hashtag #수고했어_준회야 to no 1 in Korea and making it a top trend in the US too! In this way iKON and iKONICs showcased their passionate relationship as a young but unstoppable team! I guess the real question to ask today is can iKON members ever stop making iKONICs proud? Not any time soon it seem! 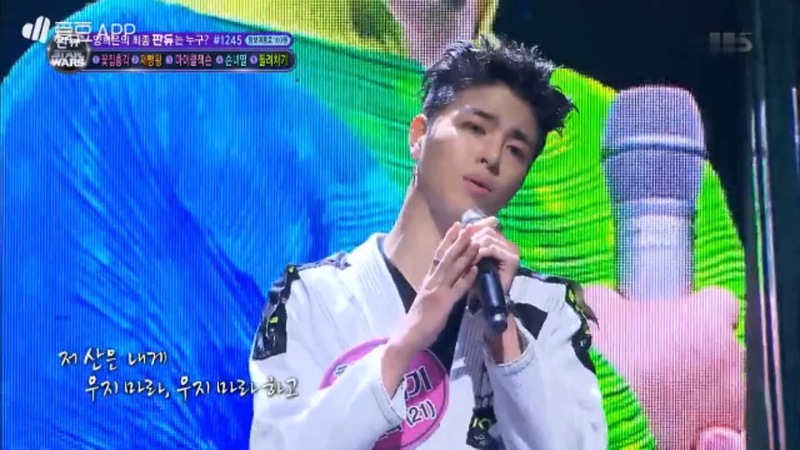 Watch Junhoe put the Fantastic in Fantastic Duo 2 below! During a recent IG live Olltii mentioned Bobby by saying they talk on kakotalk and drink together sometimes. Fans especially noted how Olltii called Bobby Jiwon. Also, a month ago Olltii took a picture with Bobby’s cardboard cutout leading to a cute kkt conversation between him and Bobby. 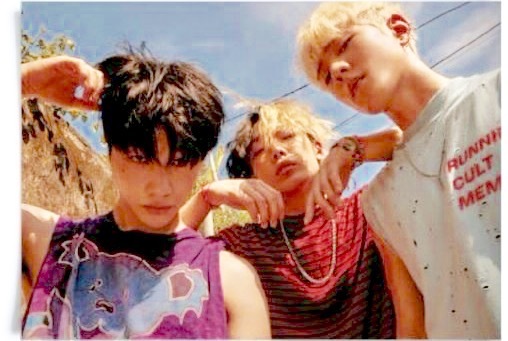 Although Olltii was presented as Bobby’s nemesis during the SMTM 3 and there was some direct dissing going on, most notable one being Olltii calling Bobby and B.I “pretty Barbie dolls”, that did not stop the two of them from forming a friendship. Even iKONICS regard Olltii fondly as it is clear that there is no hard feelings on either side. Hope you get a chance to go for that drink boys! 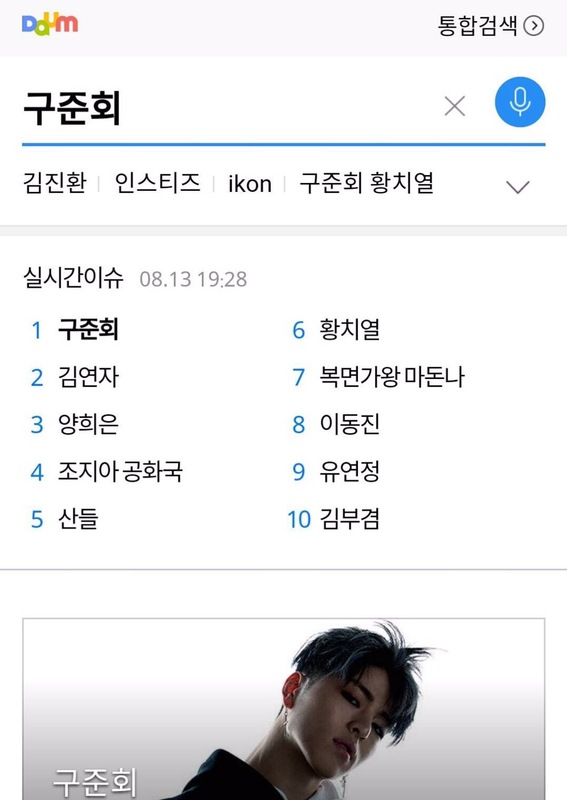 In the midst of rising excitement over yet another iKON member’s variety solo debut, iKONICs were able to witness a small but surprising and positive event when a Senior Fashion Editor at Cosmopolitan liked a post on twitter that featured images of YG rapper Jung Jaewon aka “One” and our very own Leader/Rapper/Songwriter Kim Hanbin! It all begin with the announcement by Osen this morning of the “Rapper Special” to be broadcast on the On Style Network Beauty show, “Get it Beauty” on August 16th, 9:30pm KST. iKONICs were extremely excited to find out that Kim Hanbin was one of the rappers chosen to feature on the show especially because it will be his first solo variety appearance! There was further excitement over Jung Jaewon’s featuring as well because of the recently revealed cute friendship between the rapper known as One and Kim Hanbin. In the midst of all the excitement, twitter user, @BBkings5 made a post about hoping to see interactions between the two friendly rappers using images where they appear to be twinning in cute head dresses from fans. Shortly after the fan witnessed the surprise acknowledgement from the Senior Cosmopolitan Fashion Editor. A small but sweet and exciting event to crown off our good news! Hopefully not only will we see interaction between the two rapper friends but maybe we may see further developments between the beautiful rappers and the world renown International Fashion Power House, Cosmopolitan Magazine. I love fan art and iKONIC fandom is chock full of talented people who give us endless cheer and pleasure with their humorous, cheeky, cute and occasionally downright hot art. Being married to a comic book artist I see first hand how much, time, work and dedication it takes to produce such artwork and fan artists do it for free, out of love. I think it is only fair that we give some of the love back. This is the first in a series of articles on KONY’S ISLAND blog presenting iKONIC fan artists, some of the nicest, sweetest people in our fandom. So without further ado let me introduce the first in the series, the lovely @icelycheetea of undeniable cuteness and dreamy watercolor art. I’m a HUGEEE Bigbang fan hehe so when I found out that GD and Taeyang are gonna be on WIN as mentors I decided to watch the show. Team B caught me off guard with how genuine and desperate they were about fulfilling their dreams. Their actions and words were just so honest imo, pure kids who wanted to be successful in things they love. Also their team work was just amazing. The rest was history. Never thought I was going to fall for another boygroup, but here I am, happy and thankful that I found iKON. Rhythm Ta Rock ver. is undeniable bop! Do you mind telling us how did you become an iKON fanartist? Hmmmm by accident? Hahah. One day I decided to make a twitter acc just for my fangirling purposes, it was Donghyuk’s birthday iirc, I was so bored then I uploaded my drawing to wish him a Happy Birthday. I felt good after that hehe I felt like I spent my time wisely by drawing. After that I just kinda continued with it since it makes me happy. Is art something you do just as a hobby or are you a professional artist? I’m nowhere near professional lol but I do crafty stuffs hehe 😀 Drawing has always been a hobby since I was a kid. Beautiful things, greenery, flowers, colors. Since iKON IS beautiful, they also inspire me a lot. **Bias Alert** Jinhwan in particular, always makes me want to draw him lol but I love drawing iKON in general, everything about them. Your love of Jinhwan is known far and wide.😀 I was wondering, what is your favorite technique/medium to work in? You get a lot of reactions and feed back for your work from other fans. Was there anything someone said that stayed with you as special? Also, I met a lot of cool people and other fan artists online who gave me lots of amazing motivation and inspiration. You guys rock! I think everyone loves fan art and fan artist, I never saw anything negative ever said under a fan art post. Is my impression right? Please tell me it is, so I can retain my faith in humanity. That is a relief! With my faith in humanity intact let me ask is there any particular illustration or comic you drew that is special to you and that you would like to share with us? Tell us why is it special? Afaik, nope, Thank God hehe. Your art has reached iKON members or people close to them, we saw it displayed in Jinhwan’s mom coffee shop, thus giving you the satisfaction of reaching your idol in a way most of the fans can only dream off. How did that make you feel? When I first found out, I couldn’t believe it. Like.. How? Who am I even? Amazing feelings. It kinda motivated me to draw better too heheh. It also showed me how iKON and people who are close to them all appreciate fans. Which makes them even more lovable in my eyes. Have you ever thought of making fan merchandise using your art or publishing it? Yeeess so many times, but since I’m bad at organizing things I only manage to do it now hehe. So tell us where we can get our hands on it. Thank you @icelycheetea for talking to us and for sharing your art with us. I hope you guys will enjoy this series and feel free to suggest fan artist you would like to see featured here. If you are a fan artist and would like to be part of this series please contact us. We would love to have you! iKONICS be sure to follow us as there is more fabulous fan art to come! Listeners were truly moved and impressed on Friday, Aug. 4th by a surprise live coverage of One Direction song “Half A Heart” by iKON members Kim Donghyuk and Kim Jinhwan! The Cover Session occurred during the Weekly VApp Radio show of Kim Donghyuk where he normally plays soothing music and shares exchanges of the heart with fans that tune in. On this day he was joined by the iKON mathyung Kim Jinhwan and their voices blended in perfect harmony for an impressive rendition of the popular western boy band’s song. Though the vocals were highly praised by all, a key point of the performance was Kim Jinhwan’s live electric guitar accompaniment. Jinhwan is known to have been working for a while to become proficient with the electric guitar and this performance showed he’s already come a long way! Kim Donghyuk and Kim Jinhwan, whose unit name among fans is “DongHwan,” have previously covered “Drunk” by Zayne in which Donghyuk played the piano accompaniment all to an enthusiastic response which inspired them to continue. Overall the call has been unanimous for these two iKON crooners to become an official iKON subunit! Make sure to tune in this Friday to Vnight from Dong Dong as you never know what we will be surprised with next!